Simplify the job of creating a solid business case when becoming a more digitally connected workplace. 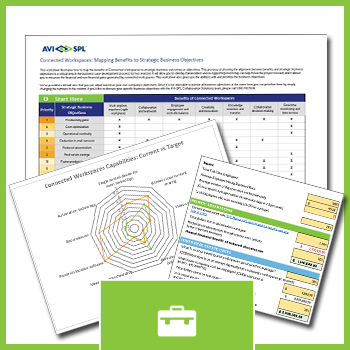 This easy-to-use, three-piece toolkit gives you the means to create printable information and reports you can share with team members, stakeholders, and decision-makers. It comes with definitions and descriptions to get you started on your business case. Then map your business drivers to the measurable benefits with the Drivers and Business Outcomes Matrix. It includes real-world examples and sample formulas for creating metrics. Finally, the Capabilities Assessment/Gap Analysis Tool compares your current state as a connected workplace with your target state. You can run the gap analysis to see where you can focus your investments. 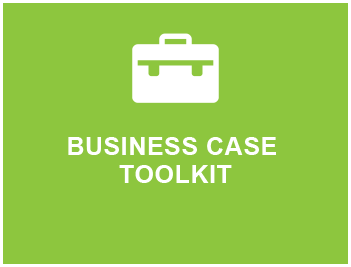 Get your business case toolkit now! 60% of employees report that the number of employees involved in their day-to-day work is 10 or more, while 63% report regular coordination with employees from different geographies.